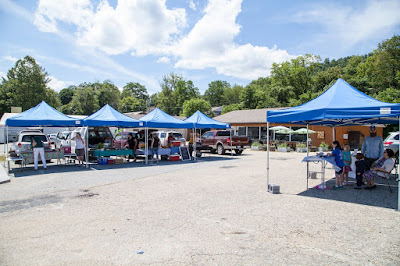 The Market was established in 2004 and offers a fine selection of produce, meats, eggs, baked goods, goat cheese, crafts and personal care products. All items are produced or grown by residents of Avery, Mitchell, or Yancey Counties. The Spruce Pine Farmers' Market has a new location for the winter market. The market will be held on the first Saturday of the month from noon-4PM through April at the Spruce Pine Visitors' Center.